The University of Southampton has over 10 years of experience in investigating and analyzing the lake bed and sub-surface sediments of Windermere, the largest lake in the English Lake District. 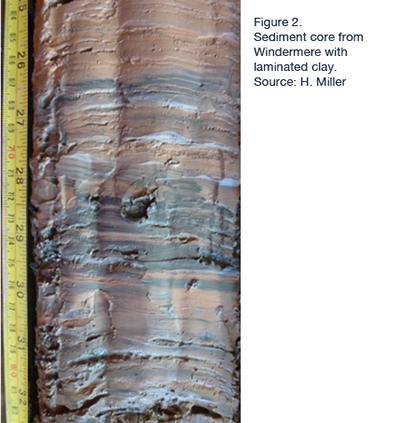 Over the past three years, NERC funded research has facilitated the acquisition and analysis of several high resolution data sets, providing key insights into the lake bed environments and sedimentology of Windermere. Rachael Avery and James Fielding are currently doing their PhD research on Windermere. Helen Miller completed her PhD in 2014. 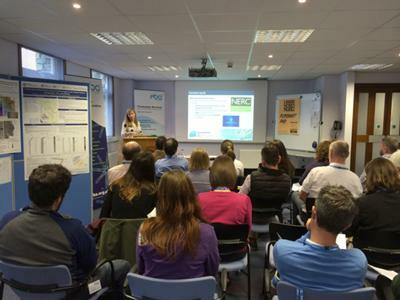 NERC Impact Acceleration Account to the University of Southampton (2014): increasing the impact of recent research in Windermere. The NERC Impact Acceleration project aims to increase impact of the research in Windermere by communicating key research outputs to stakeholders outside the scientific community, strengthening the interaction between NERC funded science and the user community. 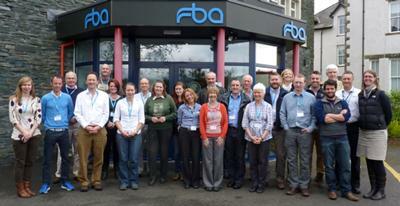 As part of this project, a workshop on increasing the impact of recent research in Windermere was held in May 2014 at the Freshwater Biological Association in Far Sawrey, Windermere. The workshop aimed to present the results of recent research on the lake, discuss its potential impact and consider the focus of future research. The workshop was well attended, with 30 delegates from 12 different organisations including the Centre for Ecology & Hydrology, the British Geological Survey, the Environment Agency, the Freshwater Biological Association, the Lake District National Park Authority, the National Trust, Natural England, South Lakeland District Council and United Utilities. Following a series of oral presentations (detailed below), Break-Out groups in the afternoon led to lively discussions about how to increase impact and what should be the focus for potential future research. A Workshop Report can be downloaded below. 74 samples from 2011, 29 samples from 2012. Analysis of sub-samples: grain size analysis, scanning electron microscopy, XRF and total organic carbon. Additional short cores were added in 2014. The morphology of the lake bed is divided into several sub-basins, characterised by a number of ridges, steps, exposed bedrock, plateaus and isolated topographic highs. These glacial geomorphological features relate to the most recent Devensian glaciation. 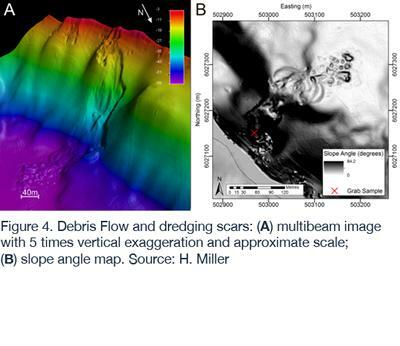 A number of submerged mass movements and features formed by human activities represent currently active sedimentary processes. Several lake bed environments have been identified, with a fine detrital mud covering >95% of the lake bed. The fine detrital mud represents most recent Holocene sedimentation derived from the catchment. Results suggest recent sediments contain elevated concentration of lead and zinc, possibly related to sewage inputs or past mineral workings. Further geochemical analysis of the sediment cores will examine pollution signals in the sediments and investigate whether the chemical fingerprints are catchment specific. 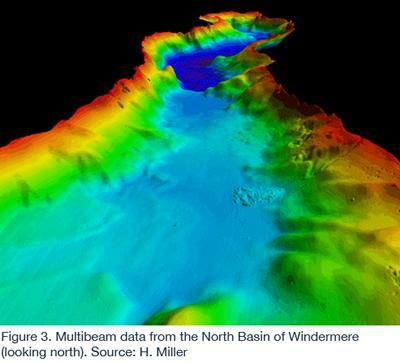 Alan Kemp (NOCS/University of Southampton): Ongoing PhD research on Windermere. Ian Winfield (Centre for Ecology & Hydrology): From the historical to the present: 70 years of monitoring and understanding the physics, nutrients, plants and animals of Windermere. Liz Davey (Windermere Reflections): Inspiring communities for lasting catchment benefits. Gary Rushworth (Freshwater Biological Association): Long-term changes (>70 years) in Windermere: littoral macroinvertebrates, oral history of Windermere, and Restore the Shore projects. Tom Bradwell (British Geological Survey): Reconstructing ice sheet behaviour in Cumbria from sediments and landforms. 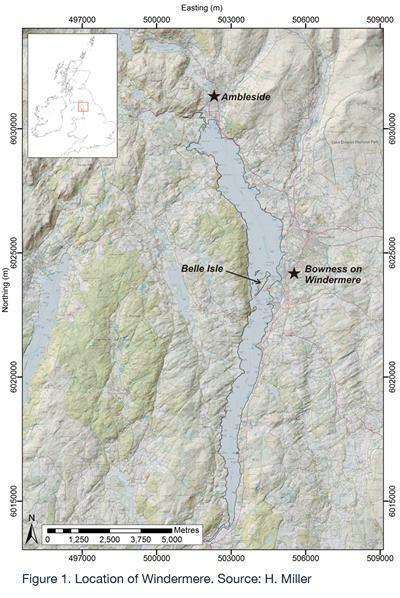 The multibeam bathymetry data from Windermere (collected by The University of Southampton and the British Geological Survey) is also available for download from Eprints (https://eprints.soton.ac.uk/364801/) and the UKHO. We are also working with several partners, including The National Trust, Countryscape and Windermere Reflections to develop a series of Interpretation Boards along the western shore of Windermere, which communicate the key findings of our research and generate interest in the lake. This will aid lake management and will form part of a multidisciplinary project which amplifies the impact of NERC science.